VEGAN FOOD, NOT BORING FOOD! — simeon hall jr.
VEGAN FOOD, NOT BORING FOOD! First of all, let me join in the anthem of thanks, gratitude and concern for all those that were affected by last week's unique and devastating pattern of weather abnormalities. Especially to those affected here in The Bahamas. In times like these, people want to hear less about the Goodness of God and more about the kindness of His people. Myself and my colleagues will do all we can do to assist. That being said, I thought to offer a CHALLENGE in unison with some other plans we have to support victims around The Bahamas, The Caribbean and Florida. So, by eliminating meat out of your diet for the next 7 days, you will not only eat better, but save a few dollars. All of which I suggest you donate to charity. 7 days. 10 dollars a day, 70 dollars to a favorite charity working to help hurricane victims. Exciting vegan dishes start with amazing ingredients! Let's be honest. When you marry the chaos of incumbent weather, last minute preparations and uncertainty, no matter how discipline you are everyone's diet changes. The words organic and free range are soon replaced with canned and snacks. So with that in mind and my appreciation for those that always request vegetarian options, I want to help you understand, appreciate and cook fully vegan for the next 7 days and beyond. Vegetables can be the star if you allow them to be! Balance grains, vegetables and starches for maximum flavor and nutrition. 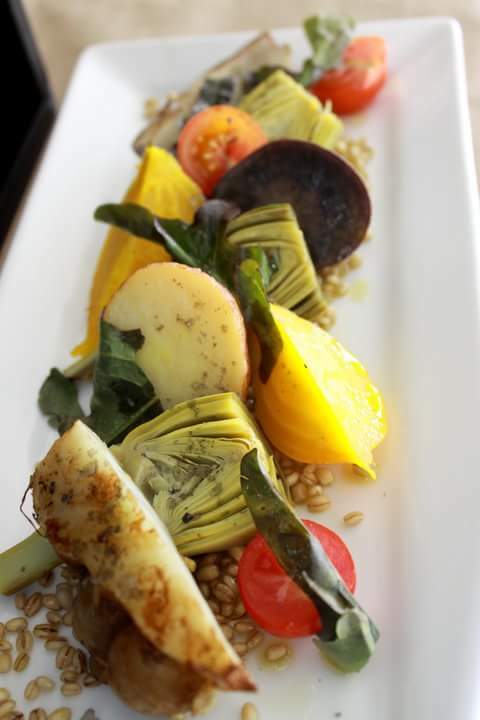 Enjoy roasted and raw vegetables in a salad with barley and red wine vinaigrette over fresh greens. Remember SOUPS are a great vehicle for presenting vegetables creatively. My version of a Bloody Mary as an amazing chilled soup. Remember you can make many delicious soups vegan very simply. Here are some tips! Use a blender. Turn a puree into a soup. Eliminate gluten and thickeners by the fault. Simply use the same liquid used to poached the ingredients as the stock. 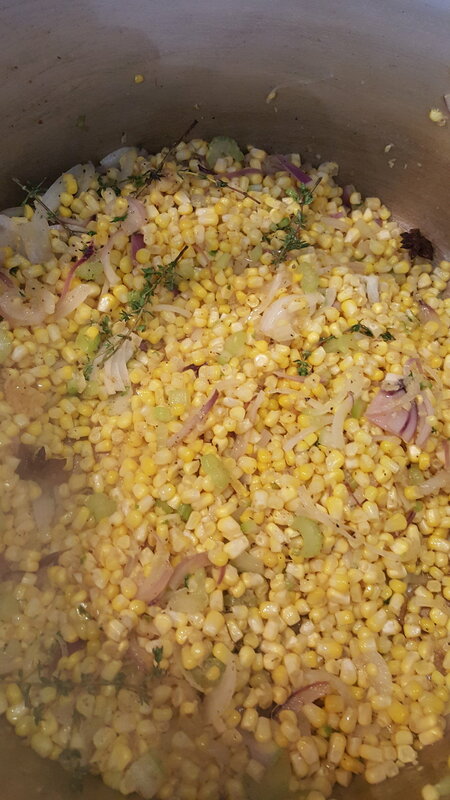 Use EVOO to emulsify the soup. Remember to use only quality ingredients. Maybe that should be the heading of this section. Cooking isn't magic. What you put in is what you get out. Here's a simple puree soup recipe that can be switched up very easily. In a sautee pan. Sweat the onions and pumpkin. Cover with distilled water until tender. Remove and blend. Hold back some of the liquid and make as think or thin as you prefer. Stream in the EVOO and season to taste. Garnish and serve. Boom! That's it. Using simple techniques and quality allow you to eat "CLEAN" and you won't have to do too many dishes! Lol. 😁😁😁👍👍👍. My all time favorite vegan diet tips. Honey is not vegan. It is in my terms liquid "meat". It is made by an animal. Replace it with unrefined brown cane sugar. Replace milk with unsweetened coconut in most recipes and also with "onion milk" in others. ( Recipe for that is in blog bites). Spices and heat are very important in vegan recipes. If you dont like spicy food then try to use a lot of spices when cooking. You do understand the difference right? Black-eyed peas are some of the most flavorful ingredients in the world. 1 can of organic crush or whole or fire roasted tomatoes. Remember to presoak your peas. If you want to do this on the fly canned organic beans will work. However you won't be able to cook them as long and obtain all that flavor. Aww well just plan better next time. Lol. 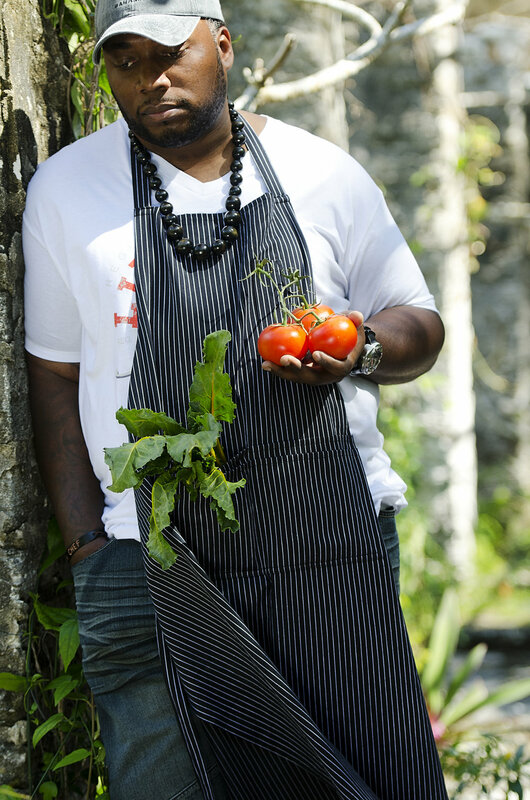 Many Bahamians hate okra and it's usually because of its texture. Da slime. To avoid that complete fry the okra. This breaks down that mucus like texture it has. After that add the onions, garlic, thyme and bay leaves and cook for a few minutes. Add the tomatoes simmer for about 2 minutes. Add your beans and coat them thoroughly. Cover with distilled water and cook on a low heat until the beans are tender. You will need to add more water occasionally. But the end product should not be to watered down. Making vegetables taste good but you have to be patient and use sound cooking techniques. 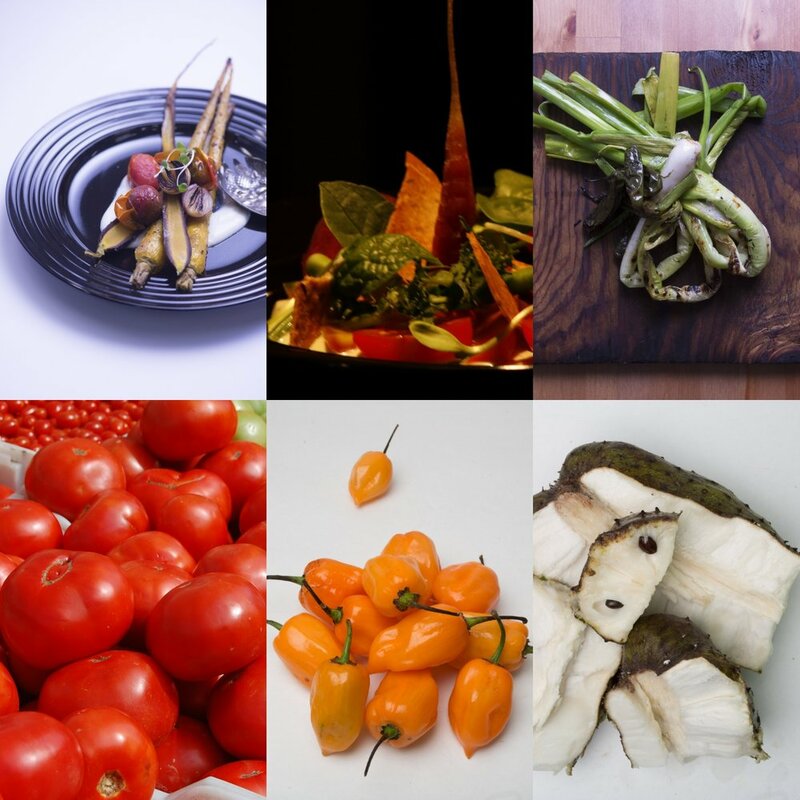 Flavor building is very important in cooking especially in the absence of meat proteins. Make stocks to add flavor. 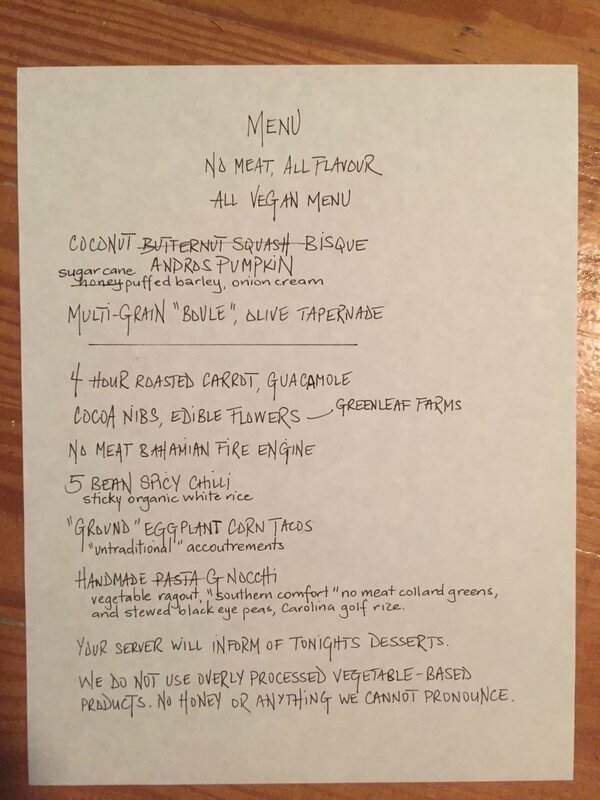 All vegan menu for a week coming soon at a restaurant pop up in planning! See you there. Remember $10 per day for 7 days.